Due to globalization of the Indian economy, the challenges of international competition and ever increasing complexity of information flows have widened the financial, operational, economic and business risks faced by Indian entities. Competitive pressures and increased attention to corporate governance has enhanced the importance of enterprise risk assurance function. With increasing regulatory requirements, disclosure norms and the need for greater transparency in operations, stakeholders’ require assurance beyond the traditional critique of numbers. Stakeholders have become more sophisticated, aware and demand greater transparency and uniformity in presentation of financial statements making Assurance a necessity. Our Audit and Assurance service professionals provide a range of audit and advisory services to assist clients in achieving their business objectives, managing their risk and improving their business performance. A comprehensive audit process is essential to extend credibility to the financial information that stakeholders need to make sound business decisions. 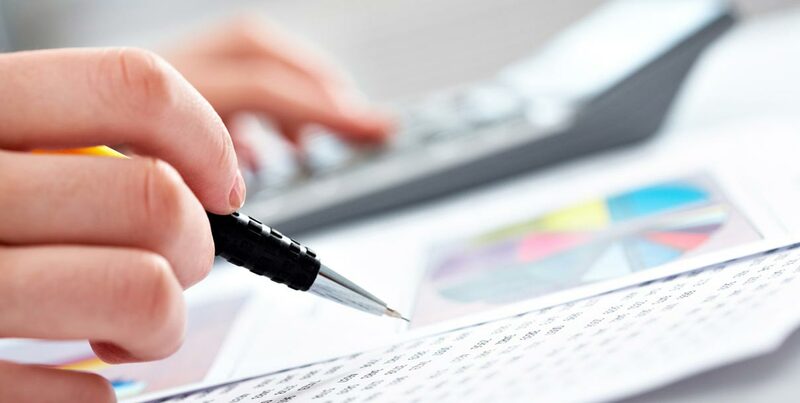 Our Audit services extend beyond the conventional/traditional financial reporting function. We take time to understand client’s business, its needs and blend this with the sectors in which they operate. Seamless integration of business facts with experience allows us to identify major risks and opportunities that may distinguish between roaring success and complete disaster. We are committed to the highest professional ethics, standards, and principles. In India, there co-exist a number of special diversified corporate and non-corporate entities such as Sole Proprietorship, Partnership Firm, LLP, AOP, BOI, Company, Trust, Non-profit Organization, Co-operative Societies, etc. All these organizations are regulated under various statutory enactments, which require financial assurance and certification. The complexity of the regulatory environment coupled with risks faced by such organisations calls for the need for greater transparency in disclosures, stricter liability and accountability of executives and operational management towards the stakeholders. In such an environment of competitive pressures and increased attention to Corporate Governance the importance of Statutory Assurance has enhanced. Lunawat is insightful to the needs of such organizations and uses its expertise ensuring adherence with the provisions of applicable laws and their certifications. Globalization has increased the complexity of principles, regulations, disclosures and the cultures in which organizations operate. Increasing litigation, legislation, and regulations carry important compliance implications. A Statutory Audit of the financial statements requires an auditor to provide reasonable assurance that the accounts and financials have been prepared in accordance with the Generally Accepted Accounting Principles (GAAP) and Standards on Auditing (SAs), and that they are free from misstatements and errors. Lunawat uses a combination of tailor made systems and controls to obtain audit evidence ensuring adherence with the provisions of Companies Act, 1956 across all organizations including those that are held by the government, publicly listed and privately held. It also fulfills the statutory assurance function for non corporate entities based on the applicable statute and laws relevant to them. The rising volume and variety of inter-company transactions and transfer pricing regulations, accompanied by increased enforcement activities worldwide have made Transfer Pricing a leading risk management issue for global businesses. Transfer pricing has emerged as a critical success factor in corporate strategic planning and executive decision-making. Companies focused on growth and market leadership have recognized the important role transfer pricing can play in addressing the corporate tax burden, enhancing operational performance, reducing tax compliance exposure and increasing cash flow. Our dedicated team of trained professionals conducts the transfer pricing audit keeping in mind the latest judicial pronouncements, amendments, circulars, notifications and tax accounting standards notified by the CBDT, as applicable for publicly listed, privately held, and other organizations as per the relevant provisions of the taxation laws of India. A Tax Audit in India involves an expression of the tax auditors’ opinion on certain financial details, given by an assessee to enable an assessment of its tax, by the Tax Authorities. The said requirement is required under the provisions of Income-tax Act, 1961. Our dedicated team of trained professionals conducts the tax audit keeping in mind the latest judicial pronouncements, amendments, circulars, notifications and tax accounting standards notified by the CBDT, as applicable for publicly listed, privately held, and other organizations under the relevant provisions of Income Tax Act, 1961 and related rules. A VAT Audit in India involves an expression of the auditors’ opinion on certain financial details, given by a dealer registered with VAT authorities to comply with the provisions of the VAT Laws. As VAT is a state subject, the VAT audit compliance varies from state to state. Our dedicated team of trained professionals conducts the VAT audit keeping in mind the latest judicial pronouncements, amendments, circulars and notifications as applicable to a dealer registered under relevant VAT authorities. In today’s rapidly changing organization’s structures, growing statutory compliances and complex business environment management assurance is very critical for strong corporate governance, risk management, effective internal control and efficient operations. Our services enable our clients to effectively coordinate their growth with the quality and the operational challenges faced by them. Apart from the statutory compliance, internal audits provide a number of important services to company management. These include detecting and preventing fraud, testing internal control, and monitoring compliance with company policy and government regulation. Smaller companies may require these functions even more than large companies. A small business simply cannot afford employee fraud, waste, or a government fine. Establishing an internal audit function provides a vital step in the growth of a small business. The present day complex business and regulation environment has made it essential that a comprehensive and critical review of the internal controls and policies of an organization is done to ensure that leakages in management and statutory compliances are plugged. Compliance audit is a critical component of the internal control process for any business and a prerequisite for assessing compliance with corporate performance standards. Whether it is compliance with internal corporate procedures or external regulatory requirements, effective internal auditing is the cornerstone of compliance management and continuous improvement. Effective compliance management protects and enhance clients’ brand and reputation by helping them avoid the adverse affects of non-compliance such as: litigation, fines, prosecution, bad PR, and the risks, costs, liability, and damage to brand reputation associated with non-compliance. As part of Compliance Audit, we undertake a complete review of all tax and statutory compliance, including procedural requisites, related to income tax, corporate laws, indirect taxes, etc. and provide a comprehensive report to the clients on the existing status of the compliance along with recommended improvements. Today the world is moving towards better systems and processes, to ensure an organization is strong enough to weather the myriad changes of a dynamic environment. The global shrinkage of the world has made businesses’ rethink their strategy with a fresh perspective not only on compliances with domestic laws but also with global procedures. A review of processes and systems becomes indispensable in such an environment. We conduct a review of systems and process within organizations to critically review that the operations at various levels are flawlessly followed, ensuring effective controls and operating efficiency. We constantly re-engineer our review procedures to meet the increasing expectations of stakeholders and management by navigating the new risk landscape, providing deeper insights and foresight enabling them to cut through the clutter. The results are reviewed and the key findings along with recommendations are presented to the management of organizations, advising them off continuous improvement strategies. The Socio Assurance services offered by Lunawat aims to supplement the conventional audit of government departments and agencies, NGOs, corporate entities etc. to understand and improve their performance as perceived by the stakeholders in the social context. Social assurance is a way to document and hold an entity accountable for its social and ethical business practices. It is a process of understanding, measuring, reporting, and most importantly improving the efficiency and effectiveness of the local governance. It is also a way to assure the donor agencies granting the aid of the achievement of the social cause within established budgets and processes. Social Audits is a process of evaluation and reporting which is similar, in some respects to a financial audit but focuses on social performance rather than financial performance. It is a tool for evaluating how satisfactorily an organization has discharged its social responsibility. Social Audit is a reform tool aimed at strengthening accountability and transparency in the implementation of projects and policies. It is a method for organization to plan the internal and external consequences of the organization’s social and commercial operations. Social audits are further gaining importance amongst stakeholders due to compliance to be made by the corporate of their corporate social responsibility under the Indian Laws. We conduct our audit in a way so as to fulfill both, financial reporting and social responsibility. Our audit not only focuses on financial records and their scrutiny but it is much more holistic which involves measuring, understanding, and improving the social performance of the organization as a whole. We ensure transparency, reduce leakages, force proper spending of funds, generate trust and peace, and create demand-led improvement in services. We understand and co-relate the concept of corporate social responsibility with our audit engagement to establish a basis of credibility, confidence, and trust in the eyes of the stakeholders, management, and society. India is a developing nation, plagued with problems of illiteracy, malnutrition, low human health index, women’s empowerment, slow infrastructure development, etc. Organizations like the World Bank, United Nations, etc. in conjunction with the developed countries of the world give aid to India for such projects ensuring inclusive and sustainable growth. Indian Government also gives aids to various organisations and NGOs for eradication of such problems.